This is a hand painted Christmas ornament . Any state can be painted on . 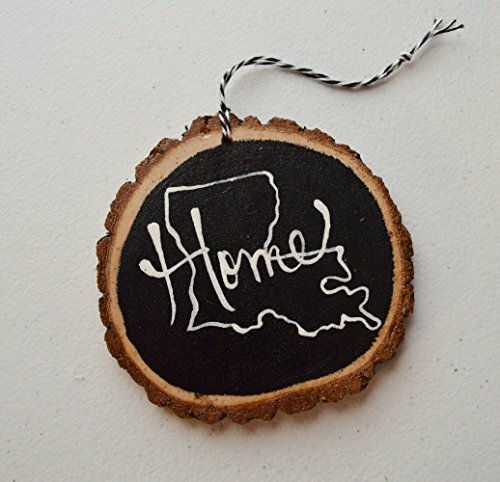 Faux chalkboard with Home across the state. The wood tree slice is 3-4 inches. This is a real wood slice so they will vary in shape and size. The hanger is white and black cord. If you have any questions about this product by Greta's Handmade Gifts, contact us by completing and submitting the form below. If you are looking for a specif part number, please include it with your message.